Hello everyone! Hope you all are doing great. Hair fall is an issue which is faced by us all. Every second person is concerned about hair breakage. In this post, I will be talking about a hair fall treatment which is Smart Luscious Locks Ultra PRP Treatment offered by Smart Metabolic Anti-Aging Centre which is owned by Dr. BK Modi of Smart Group. Sounds Interesting, Right? Let us get into details. Be it, men or women, we all want healthy voluminous hair and let us accept the fact, we all go through many hair problems such as dullness, breakage, constant hair fall and so on. Diet and lifestyle play a major role, but if you are someone who is looking for a professional hair treatment for your hair fall issue, then you are on the right page. Have you heard about Ultra PRP Treatment before? If yes, and you are curious to know more, then keep on scrolling as you will find all the details in this post. And if you have not heard about it, then this post is going to be really helpful to you as I will be sharing what exactly Ultra PRP Treatment is, it's benefits, process, basically everything about it. Ultra PRP Treatment or Smart Luscious Locks Ultra PRP Treatment to be precise is a hair fall treatment offered by Smart Metabolic Anti-Aging Centre in Saket which is a new offering by The Gujarmal Modi Hospital and Research Centre (GMHRC). PRP is short for Platelet-Rich Plasma. Ultra PRP is a unique combination of Platelet Rich Plasma, in addition to a rich mix of organic growth factors from within your body that can stimulate growth and speed up the regenerative process much faster. Smart has taken PRP a few steps ahead with Ultra PRP to maximize the growth factors for stronger, visible results. The Smart Luscious Locks treatment uses Ultra PRP along with a combination treatment to treat the root cause of hair fall. The process is designed to stimulate hair growth and initiate a gradual reduction in hair fall by analyzing your body and identifying the underlying reason. Smart Luscious Locks Ultra PRP Treatment can help men and women regrow thicker, fuller hair through a non-surgical hair restoration solution. This revolutionary solution rebuilds your hair from its roots – literally. Enrich your scalp and strengthen your hair follicles to produce more robust hair growth. Ultra PRP uses a distinct cell processing platform is approved by the USA FDA that uses the healing power of your own body to repair itself. Since it uses your own blood cells, the chances of any side effects are negligible. What is the Process of Ultra PRP Hair Fall Treatment? 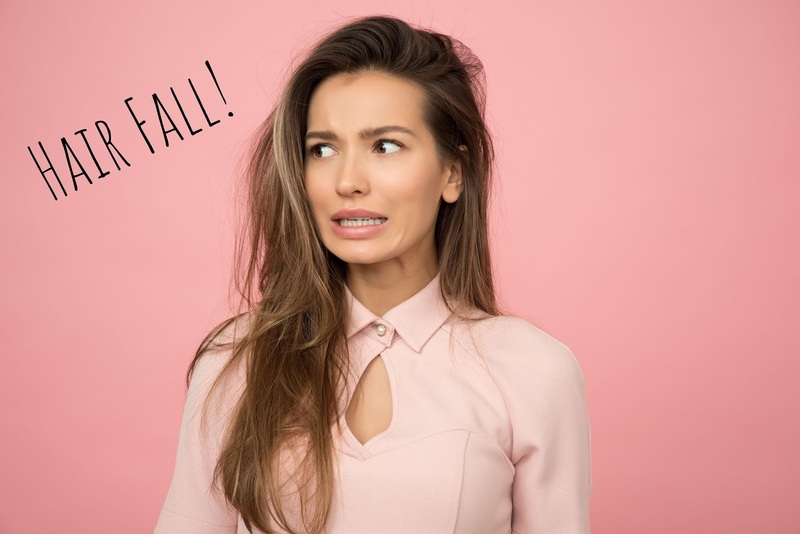 The very first step is to schedule a consultation with Dr. Sonali Chaudhary, Smart Metabolic’s Integrative Aesthetics specialist to analyze the root cause of hair fall. Hair fall can be attributed to various things starting from nutrient deficiency, mineral toxicity, impending disorders, and prevalent disorders. Before commencing the procedure, the integrative aesthetic identifies the root cause through a series of non-invasive diagnostics and other tests to assess your body. Blood is extracted from the patient without too much fuss. The extraction process is similar to a normal blood test and does not cause any pain. This blood is used to make the Ultra PRP component that will be re-injected back into the patient’s hair. A concentrated dose of ‘autologous’ Platelet-Rich Plasma which is extracted from the patient’s own blood sample is mixed with organic growth factors and added minerals are released on to the epidermis of the scalp. These stem cells activate new tissue growth and stimulate hair follicles. Hair follicles become larger and healthier and are able to grow new hair that’s thicker, fuller and healthier. Ultra PRP Treatment usually takes about 3 to 4 sessions to show results as the focus is on regrowing hair. If you are wondering about charges, then it all depends on your consultation and what exactly you are looking for. If this sounds good to you and something you want to try, feel free to get in touch with them at below mentioned contact.